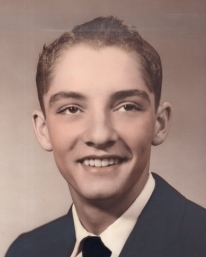 Robert “Bob” Marland Johnson, 80, of Oklahoma City, passed away on Thursday, April 4, 2019. He was born in Oklahoma City, Oklahoma, on March 28, 1939, to Wendell and Edith (Tucker) Johnson. Bob grew up in Oklahoma City and graduated from John Marshall High School before going on to receive bachelors, masters, and doctorate degrees in engineering from the University of Oklahoma. After graduation, he worked as a professor of engineering at the University of Texas at Arlington for 35 years. Bob enjoyed traveling, classical music, and OU sports. He was preceded in death by his parents. He is survived by his wife, Gloria; his daughter, Dana Johnson Moore; his son-in-law, Michael Jerome Moore; his grandson, Robert Aaron Moore; and his granddaughter, Ashley Elizabeth Moore.